For more than two decades, Pew Research Center has tracked the public’s priorities, including in our most recent survey. Among Democrats and Democratic-leaning independents, health care costs, education, the environment, Medicare and assistance for poor and needy people top the list of priorities (all are named as top priorities by seven-in-ten or more Democrats). None of these is among the five leading top priorities for Republicans and Republican-leaning independents (Medicare and health care costs rank sixth and seventh, respectively). 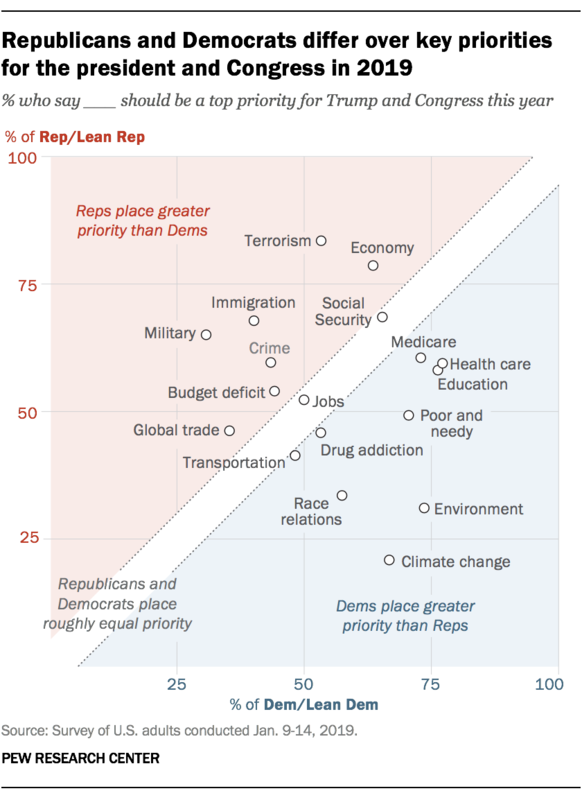 Conversely, the two priorities named by more than seven-in-ten Republicans – terrorism and the economy – are cited by far smaller shares of Democrats. 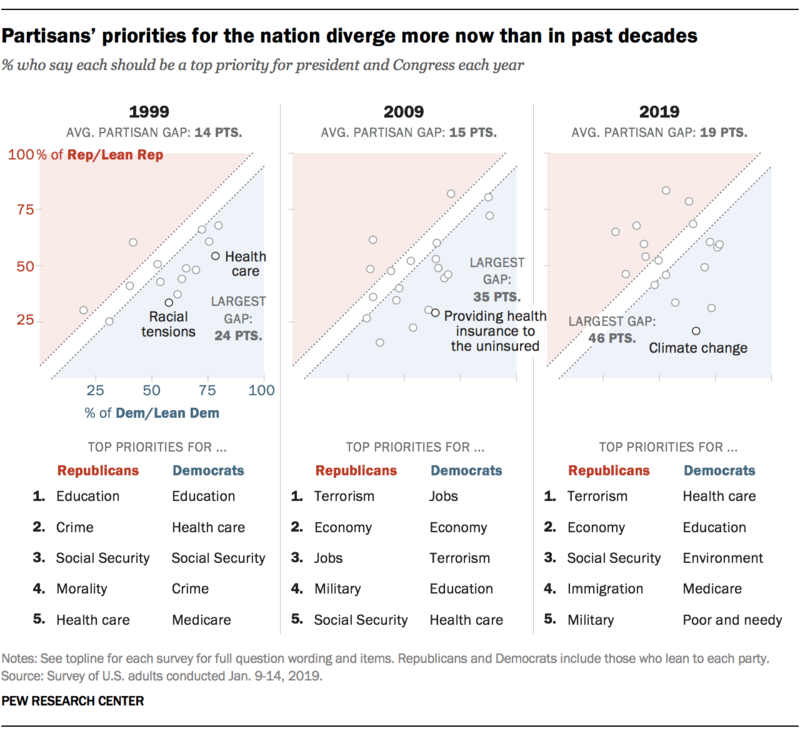 Twenty years ago, and even as recently as 2014, the top priorities of Democrats and Republicans were much more aligned than they are today. In 1999, improving the educational system topped the list of priorities for both Republicans and Democrats, and four of the top five issues for Republicans were listed among the Democrats’ top five issues as well. Ten years later, in the wake of the financial crisis, three issues (economy, jobs and terrorism) topped the list among both Republicans and Democrats (although they ranked them slightly differently). Five years ago, the economy, the job situation and Social Security all ranked among the top five issues in both parties.